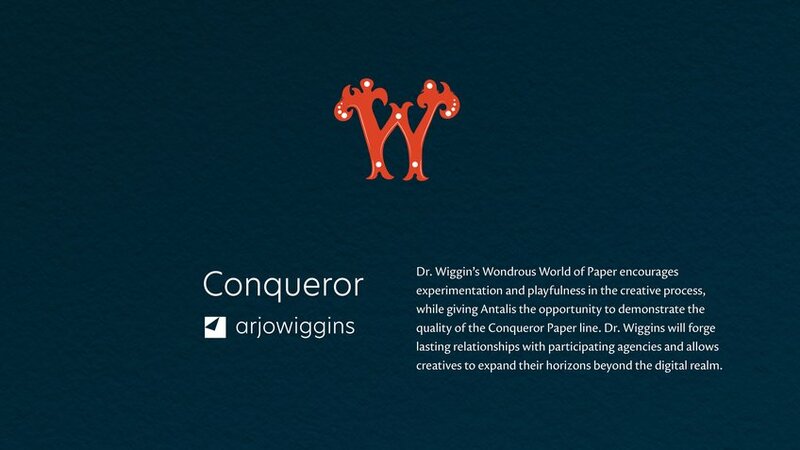 Dr. Wiggins’ traveling paper truck encourages experimentation and playfulness in the creative process. 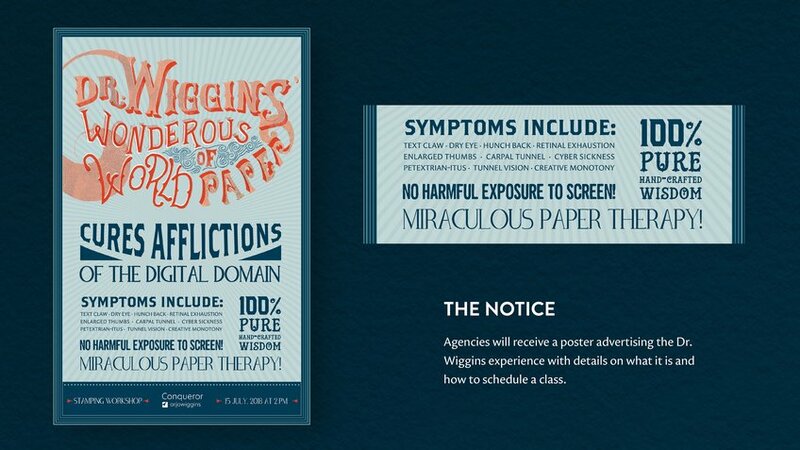 Inspired by legendary medicine shows, it offers a cure to creative constraints that come with digital dependence. 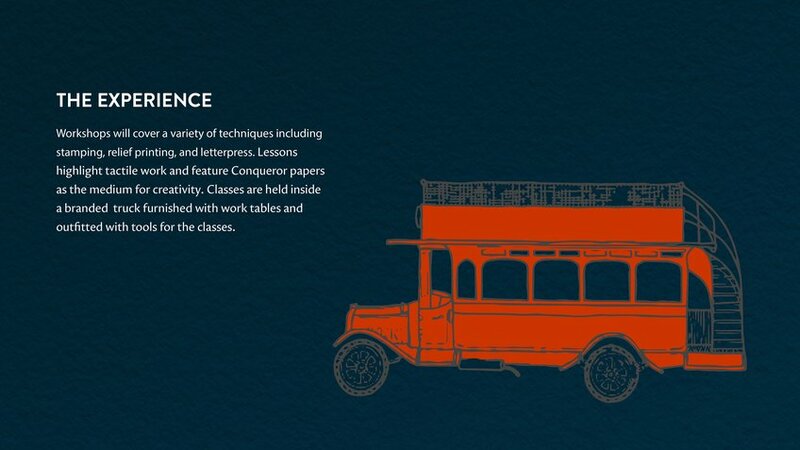 Workshops promote tactile work while highlighting the versatility of Conqueror Papers by covering techniques of stamping, relief printing, and letterpress. 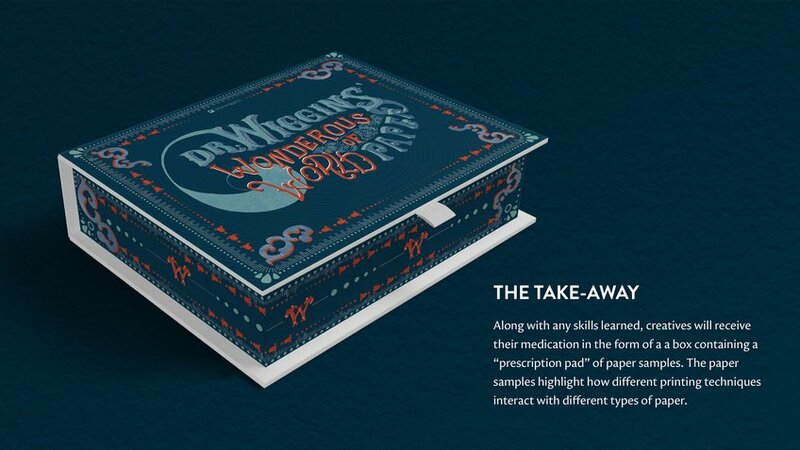 Creatives receive a medication box containing a “prescription pad” of paper samples which highlight how printing techniques interact with different types of paper. 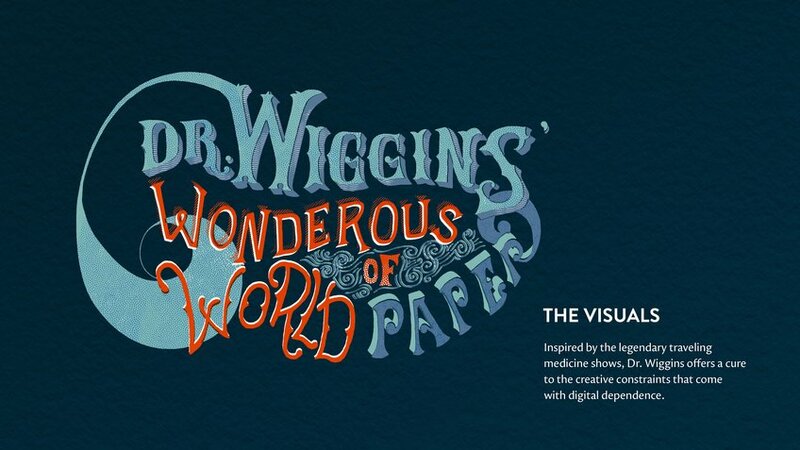 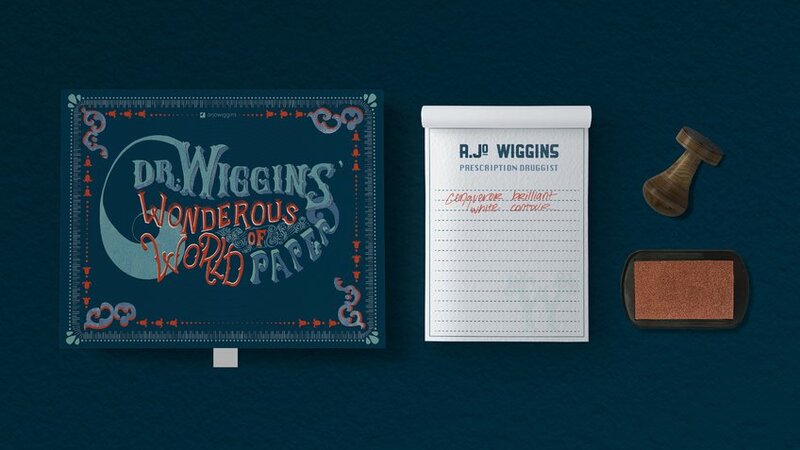 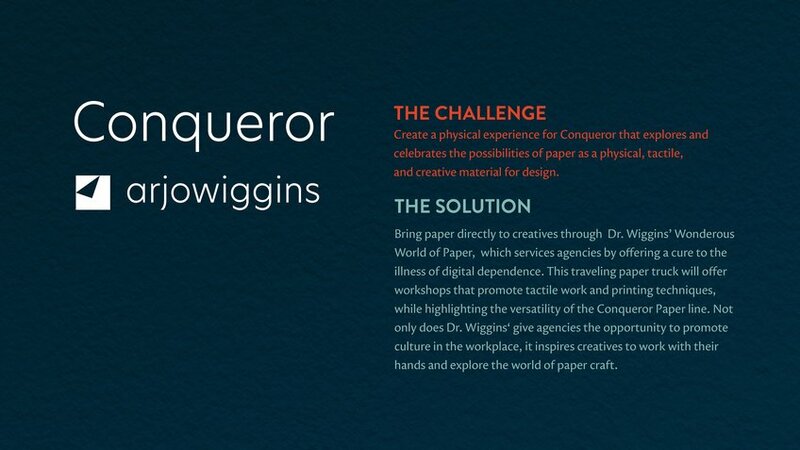 Dr. Wiggins gives agencies the opportunity to promote culture in the workplace and inspires creatives to work with their hands and explore the world of paper craft.